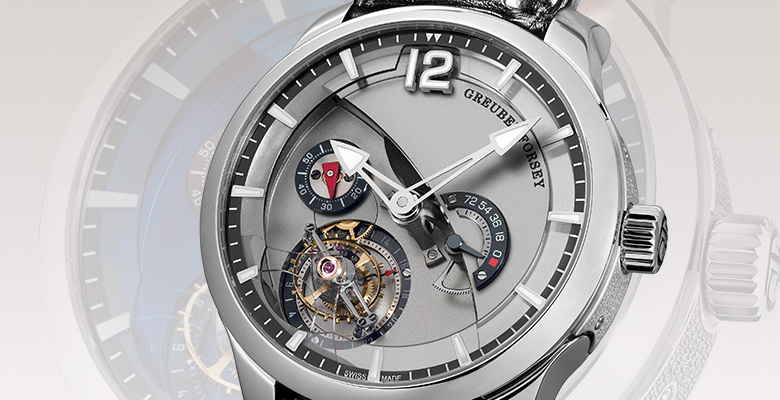 Greubel Forsey is a high-end brand which was launched in 2004 by Robert Greubel and Stephen Forsey and is based in La Chaux-de-Fonds, Switzerland. They specialize in inventing timepieces with multiple tourbillons as well as movements with inclined balance wheels with the goal of improving timekeeping accuracy. In 2011 their approach was confirmed when the Greubel Forsey Double Tourbillon Technique won the 2011 International Chronometry Competition held by the Le Locle Museum of Horology. Greubel Forsey recently announced their new Greubel Forsey Tourbillon 24 Secondes Contemporain Titanium an updated version of their Tourbillon 24 Seconds Contemporain which was originally introduced in 2012. For this revised version they modified the original by lightening the movement through the use of titanium for the main plate and some of the bridges, the Zenith El Primero Lightweight which I wrote about recently also achieved a similar aim through its implementation of titanium mainplate and bridges. The dial gives a strong three dimensional impression due to its multi-layers; the raised sapphire chapter ring, the ‘floating’ tourbillon and extended hand column. Its a dial that’s a visual spectacle displaying its engineering virtuosity and highly worked finishing. I particularly like the way the dial appears as though its been sliced away with a scalpel to reveal the watch’s innards. Overall though the dial is actually quite restrained by Greubel Forsey standards – compare it to the GMT in red gold for example. 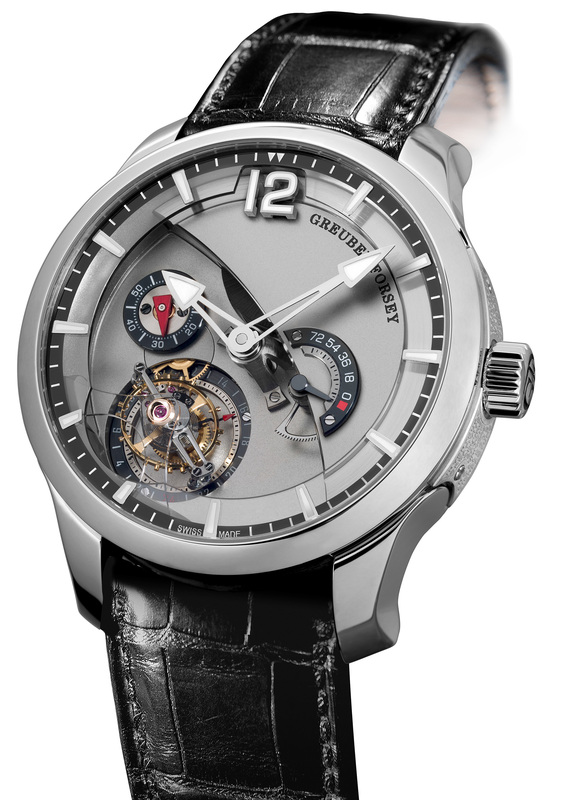 The dial design also has an interplay of colour and tone, darker elements such as the small seconds at 9 o’clock, the power reserve indicator at 4 o’clock and the 24 seconds tourbillon at 6 o’clock contrast with the lighter grey of the natural titanium movement and integrated titanium bridges, on top of this are added accents of red. The sapphire hour and minute chapter ring has blackened minute markers and hour indexes finished in red or white gold (depending on the case). The twelve o’clock index has been made more prominent by not only being the sole numeral but also having been elevated and moved down from the sapphire chapter ring. The small seconds dial at 9 o’clock and the power reserve indicator at 4 o’clock are in gold. There is a domed sapphire crystal on the front and a flat sapphire on the back. The impressive movement features the time, tourbillon, subsidiary seconds dial, and power reserve indicator and as is appropriate for a watch with such an exceptional movement a lot of it is visible through dial cutaways and a sapphire case back. The movement consists of 268 components, 88 for the ultra-light 0.39-gram tourbillon cage alone. It features main-plates and bridges in natural titanium which have been hand-finished with straight-graining and mirror-polished bevels. 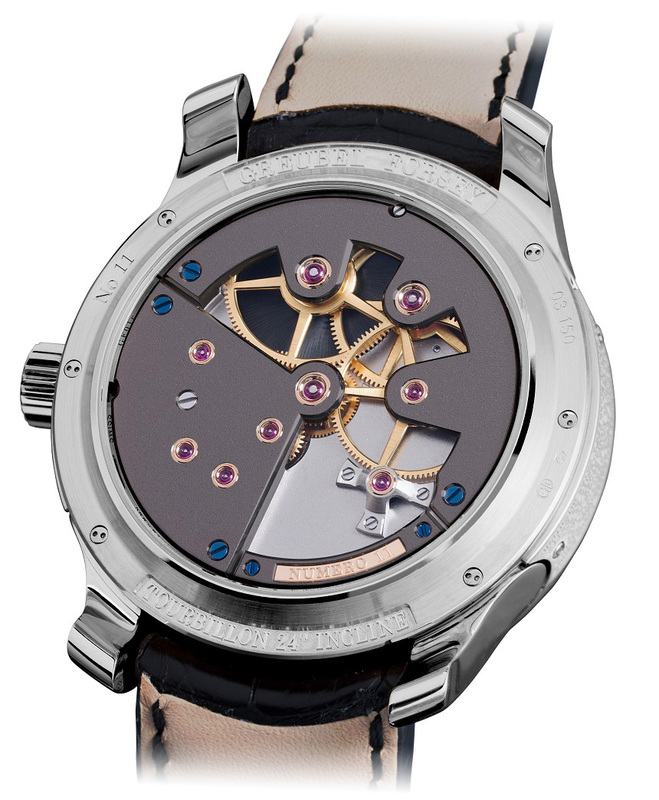 Visible on the rear of the watch are three NAC-treated anthracite bridges, on display is also Greubel Forsey’s expertise in extremely fine hand-finishing with mirror-polished bevels (many of which feature internal angles), mirror-polished countersinks, straight-graining and snailed decoration on the mainspring barrel. There are also nickel silver with nickel-palladium Bridges that have been frosted and straight-grained with hand-polished bevels. This contemporary timepiece also has subtle nods to tradition with amongst other elements domed olive jewels and heat blued screws, which pay elegant homage to master watchmakers of the nineteenth century. A power reserve of 72 hours is provided by two coaxial mainspring barrels in series. The oscillator, beating at 3Hz / 21,600 vibrations per hour, features a variable inertia balance with Phillips terminal curve. At 43.5mm in diameter and 15.2mm in height, the 5N red gold or white gold case dimensions remain unchanged remaining at its quite significant size, and it features synthetic sapphire crystals, domed on the dial side and a flat display back. Philosophical statements by Robert Greubel and Stephen Forsey have been hand engraved into small gold plates and fixed At 3 o’clock and 9 o’clock positions on the case band. The piece comes mounted on a hand-stitched black alligator strap with a 5N red gold or white gold folding clasp. This new version is all round a more conservative piece from Greubel Forsey, firstly there is only one tourbillon, then there is the symmetrical case- Greubel Forsey are famed for their asymmetrical models. According to the press release “A quest for aesthetic and a technical balance guided Robert Greubel and Stephen Forsey while creating the Tourbillon 24 Secondes Contemporain, as evidenced in the spatial configuration of components, both display-side and on the back.” Also in terms of colour it is a lot more restrained than the original 2012 model with its bright blue dial, so this version will appeal to someone looking for the model possessing all its original qualities but with a more discreet (and lighter) package. The latest version of Greubel Forsey Tourbillon 24 Secondes Contemporain is available in a choice of red or white gold case, with the hands and indices being finished in the same material to match and with a production limited to just 33 pieces. The original 2012 Greubel Forsey Tourbillon 24 Secondes Contemporain was priced at about $500,000 and this will likely be in that region. 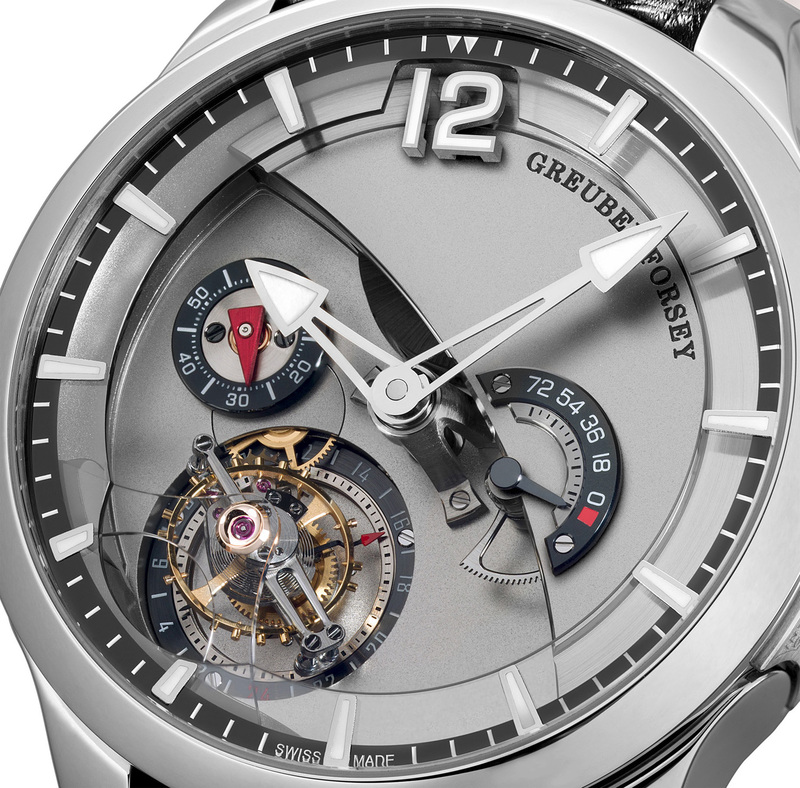 More resources about the Greubel Forsey Tourbillon 24 Secondes Contemporain on ABTW, and Perpetuelle. And also on the Official Greubel Forsey Website.